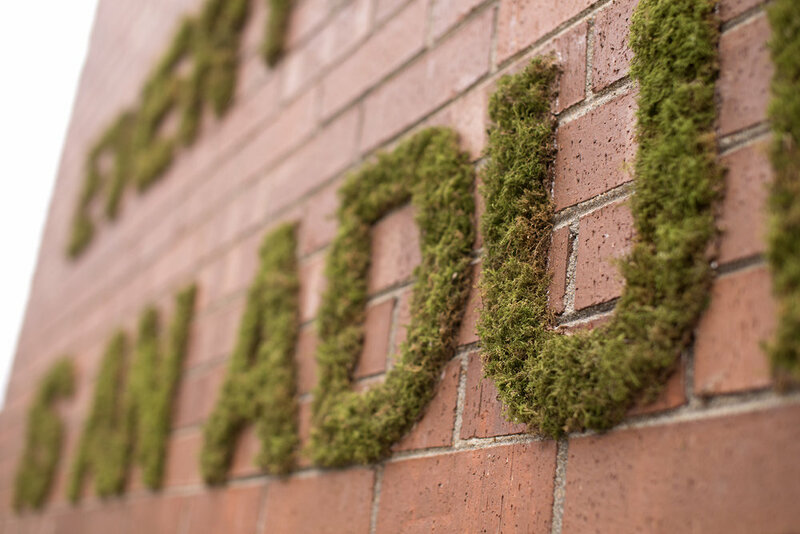 For my honors thesis, I explored typography through the medium of live moss. 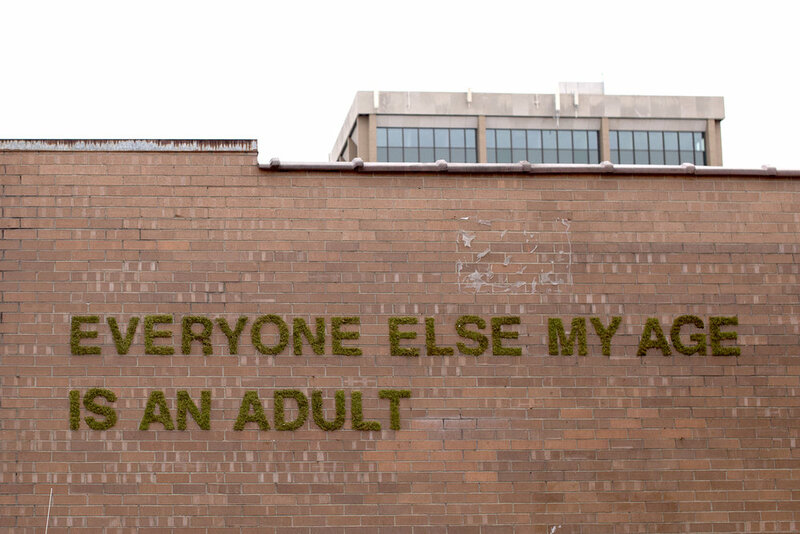 This series of three public art installations in downtown Fayetteville, Arkansas was entitled "Things I am Learning in my Twenties." 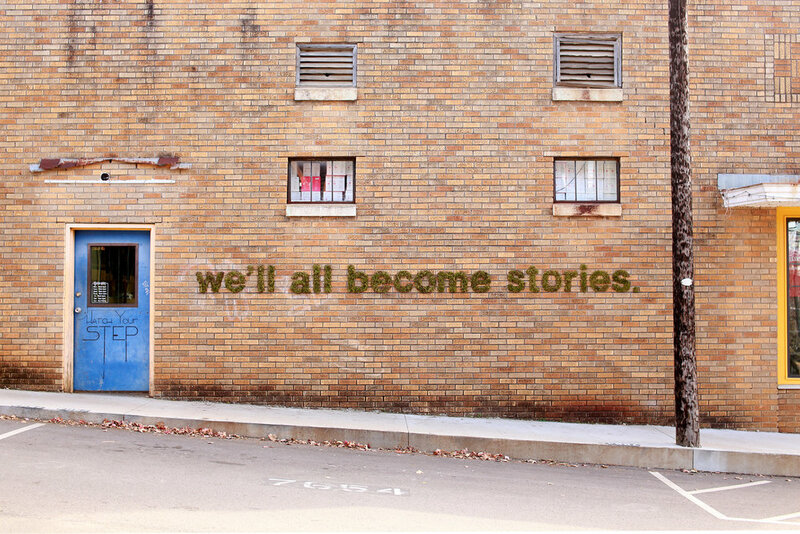 Each phrase was taken out of a larger body of literary work and transplanted into a new context–on a public wall using live moss. There is multiplicity in a single statement; each person that interacted with these words read them through the filter of their personal experiences. In this way, each fragment of thought continued to grow with each person, in the same way that the live moss was growing. At the base of each installation I attached a small panel with the website address for this project. I created the website to connect the three individual works and to expand on each quote. This website can be viewed here. This project was a success because it evoked community engagement. 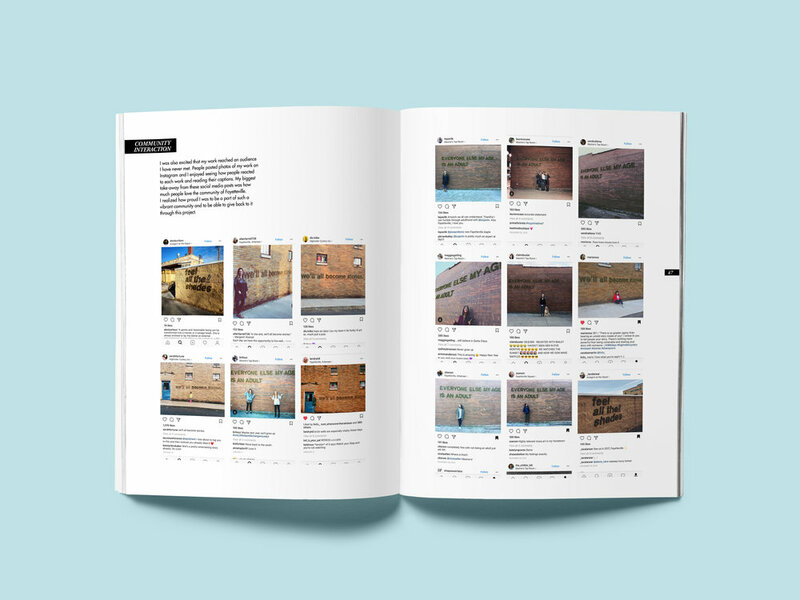 I received feedback in local news outlets, but one of my favorite ways I saw interaction with the art was on Instagram. The interactions made evident how much people in Fayetteville loved their community and wanted to be part of fostering creativity within it. I realized how proud I was to be part of this community and to be able to give back to it through this project. After finishing the project, I compiled my goals, conceptual process, and physical construction methods into a booklet for my thesis defense. 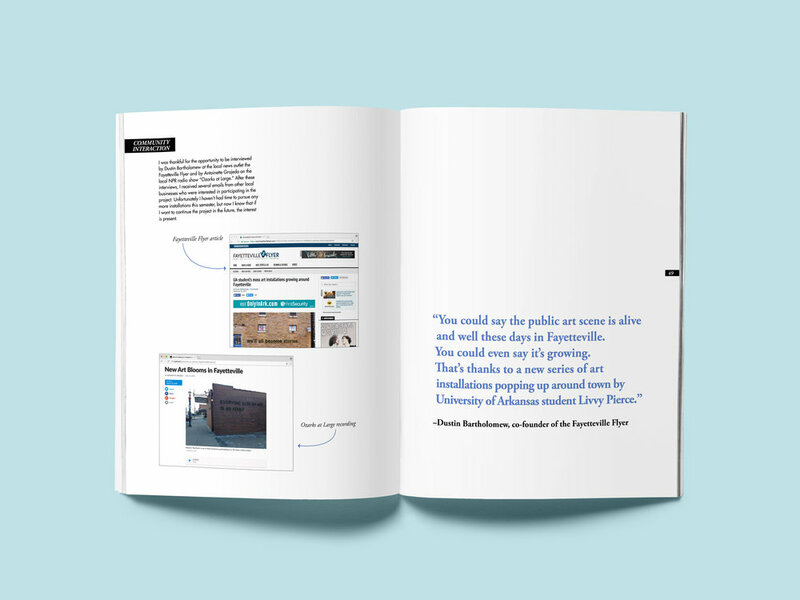 This booklet can be viewed here, or below.